Health care is undergoing a dramatic change from volume- to value-based care, with an emphasis on quality, population health outcomes and whole person care. Southcentral Foundation’s Nuka System of Care (Nuka) is an award-winning system in Anchorage, Alaska, that has been providing value-based care for more than 30 years. SCF’s Nuka conference features detailed insights from more than 50 subject matter experts on topics such as data and information management, behavioral health integration, leadership best practices, strategic planning, and more. Using tools and methodologies unique to Nuka, conference participants walk away inspired by the future of health care and equipped with answers to issues facing their organizations. View photos from the 2018 Conference. Plan on coming early or staying after the conference to enjoy some of the wonderful opportunities Alaska has to offer! View our Nuka Visitor’s Guide below for information about the conference location and ideas for seeing the Last Frontier. View the Nuka Visitor’s Guide. The early bird discount ends May 10. The pre-conference welcomes you into a small learning circle as an interactive participant for SCF’s three-day Core Concepts Workshop, where communication techniques and tools are taught as a foundation for building and maintaining effective relationships. The general conference presents SCF’s developed and proven content on organizational strategies and processes; integrated medical, behavioral, and traditional practices; and supporting infrastructure. Discover new insights, learn from relevant experiences, and obtain guidance from SCF’s award-winning system. Katherine Gottlieb joined Southcentral Foundation (SCF) in 1987 and has served at the helm of the organization since 1991. She is a tribal member of the village of Old Harbor, a tribal member and elected tribal council member for Seldovia Village Tribe, and an honorary member of the Native Village of Eklutna. Under Gottlieb’s direction and guidance, SCF has become a leader among the nation’s health care organizations. 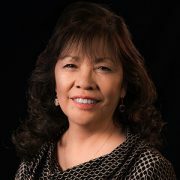 She is a Visiting Scientist at Harvard Medical School, was a founding board member of Cook Inlet Native Head Start, served on the National Library of Medicine Board of Regents, Alaska Pacific University Trustee emeritus, and is active at the national level in Alaska Native and American Indian policy issues. In 2004, she was a recipient of the MacArthur “Genius Award.” She is also the recipient of the 2015 Harry S. Hertz Leadership Award presented by the Foundation for the Malcolm Baldrige National Quality Award. For 2016, she was presented the Indian Health Service National Director Award. In 2016 she received an honorary doctoral degree, doctor of humane letters, honoris causa, from the University of Alaska Anchorage in recognition of her leadership in transforming health care services for Alaska Native people. In 2005, she received an honorary doctoral degree, a doctor of public service, honoris causa, from Alaska Pacific University in recognition of her extraordinary public service. Derek Feeley, President and CEO, Institute for Healthcare Improvement (IHI), previously served as IHI’s Executive Vice President from 2013 to 2015, during which time he had executive-level responsibility for driving IHI’s strategy in five focus areas: Improvement Capability; Person- and Family-Centered Care; Patient Safety; Quality, Cost, and Value; and the Triple Aim. 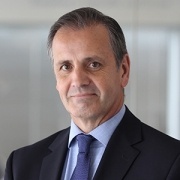 Prior to joining IHI in 2013, Mr. Feeley served as Director General for Health and Social Care in the Scottish Government and Chief Executive of the National Health Service (NHS) in Scotland. In that role he was the principal advisor to the Scottish Government on health and health care policy and on public service improvement. He also provided leadership to NHS Scotland’s 140,000 staff in their delivery of high-quality health and health care. In 2013, Mr. Feeley was made a Companion of the Order of the Bath by Her Majesty, Queen Elizabeth II, in recognition of his services to health and health care. On the evening of June 20, 2019, Southcentral Foundation will partner with the Alaska Native Heritage Center to offer an opportunity to network with other health care professionals and to experience an introduction to many Alaska Native cultures and traditions in a business-free environment. The event is free for conference attendees and takes place at the Alaska Native Heritage Center, located at 8800 Heritage Center Drive in Anchorage. As a special part of the evening’s entertainment, all guests are invited to participate in a Cultural Expression time as an opportunity to share a piece of their culture with attendees. In the past, we have had guests drum, sing and play instruments from their culture. For more information on the Alaska Native Heritage Center, please visit www.alaskanative.net. What is included with registration? Will meals be provided? Registration includes breakfast and lunch on all days of the conference. If you have special dietary needs, please indicate them in registration or email us at scfnukainstitute@scf.cc. Will I have access to presentation PowerPoints? Your registration also includes the presentation slides and materials. You will receive an email after the conference that directs you to a site to download the materials. I need a Visa to travel. Can you provide a letter of invitation? Once your registration is paid, please contact us at scfnukainstitute@scf.cc or at (907) 729-8608 to request an invitation letter. A cancellation must be in writing and emailed to scfnukainstitute@scf.cc. Cancellations will be assessed a $250 administrative fee until May 13. Fifty percent (50%) of the registration fee will be refunded for cancellations received from May 14 through May 31. Cancellations received after May 31 are nonrefundable. Registrations may be transferred to another person by requesting the change and emailing the replacement attendee’s name and contact information to scfnukainstitute@scf.cc. For the pre-conference, registration and networking breakfast is 7-8 a.m. If you do not plan to attend breakfast, please complete registration by 7:30 a.m.
For the general conference, registration and networking breakfast is 7:30-8:30 a.m. If you do not plan to attend breakfast, please complete registration by 8 a.m.
Attire is casual. Temperatures in the meeting rooms may be cool. Will wireless Internet available at the conference? Yes. Wireless is available at the conference location. What are the parking options at the conference? Parking is available at the conference location, including a nearby garage. All parking is free. What can you offer health care’s whole system transformation movement? Associate your brand with one of the world’s leading models of health care redesign. A 2011 and 2017 recipient of the Malcolm Baldrige National Quality Award, Southcentral Foundation’s Nuka System of Care is a proven example for organizations seeking to move from volume- to value-based care. What innovative service, product or system can you provide to support that effort?